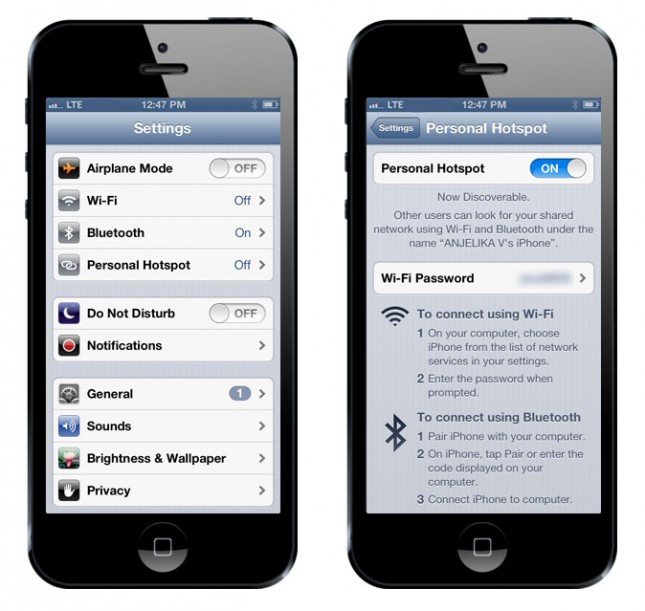 Although some carriers let you tether without limitations, others impose strict limits on tethering and go as far as disabling the personal hotspot button in iOS. However, a recent hack has emerged that allows free iOS Tethering and that button to be enabled to take advantage of the Internet you’re already paying for. The best part of it all is that it can be done without a Jailbreak. The tweak comes from a team called iTweakiOS, who also recently brought the hacked carrier bundles for the US carriers to improve network performance. This time they’ve figured out how to work around the signature signing of the carrier files that Apple implements. The result is free iOS tethering on GSM iPhone’s or iPad’s running iOS 6 or 7, a desktop computer, and a few spare minutes. “So you want free hotspot on your iPhone or iPad but don’t have a jailbroken device, huh? Well, I come with good news for a lot of you today. Many of you may remember a story I put out awhile back talking about how CommCenter blocks edited carrier.plist files and I may have found a work aroun to get things like personal hotspot enabled. Well, I’ve found the solution, but first, let’s talk about why CommCenter blocks plist editing. This happens because of the very thing we’re doing right now, which i suspect will likely be patched quickly by iOS 7 GM release time. The process involves editing .plist files, which itself is a significant risk if you don’t know what you’re doing, so obviously the process comes with significant warning to only proceed at your own risk. If you fancy having a go, then just follow the link and let us know in the comments section how you get on. Keep in mind that the tethering as a result of this tweak is only free if you already pay a data plan on your device. This will not give you free Internet, only enable the ability to tether an already subscribed Internet connection without the premium carriers charge for tethering.